Please fill out the form below and click "Submit." We will get back to you as soon as possible! 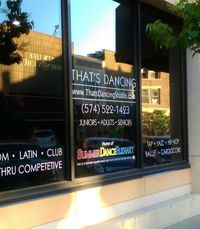 You can also contact us by calling the Studio at 574-522-1423. Be sure to put your phone number you can be reached at so that we can respond to you quickly. All submitted information is secure and will never be sold, abused or used in any other manner than to help you to find us and start dancing!